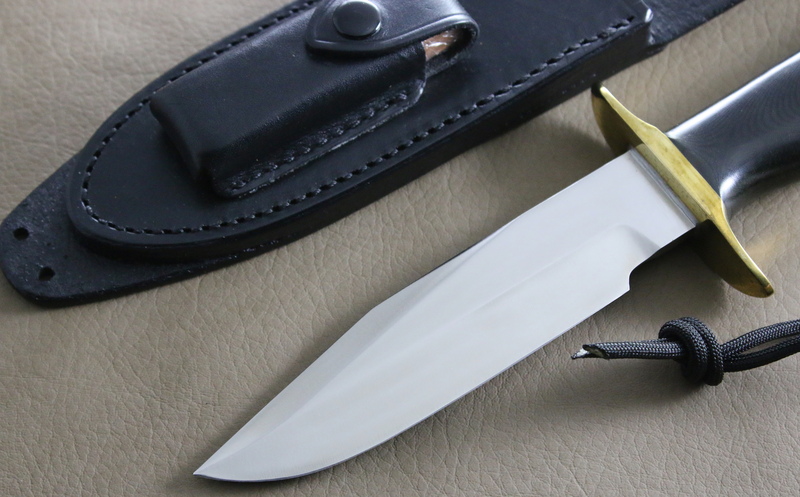 I have available a Randall Model # 15 that the late Tom Clinton had put together for a C.I.A operative. 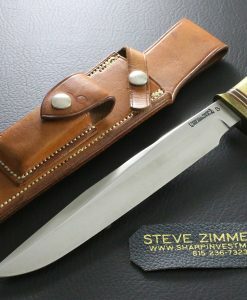 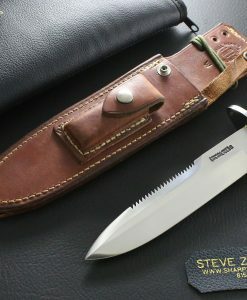 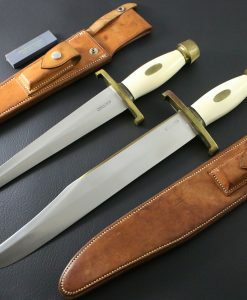 The knife and sheath are without any etchings or stamped logo. 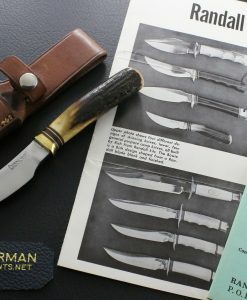 It has always been Randall Made Knives policy to etch or stamp every knife prior to the knife leaving the shop. 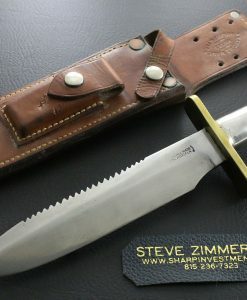 Tom had the Randall logo removed per the customer’s request. 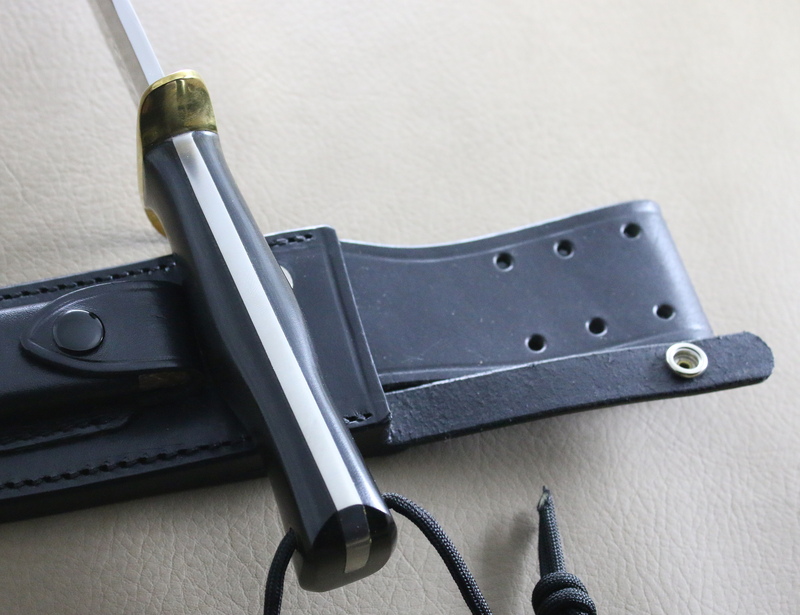 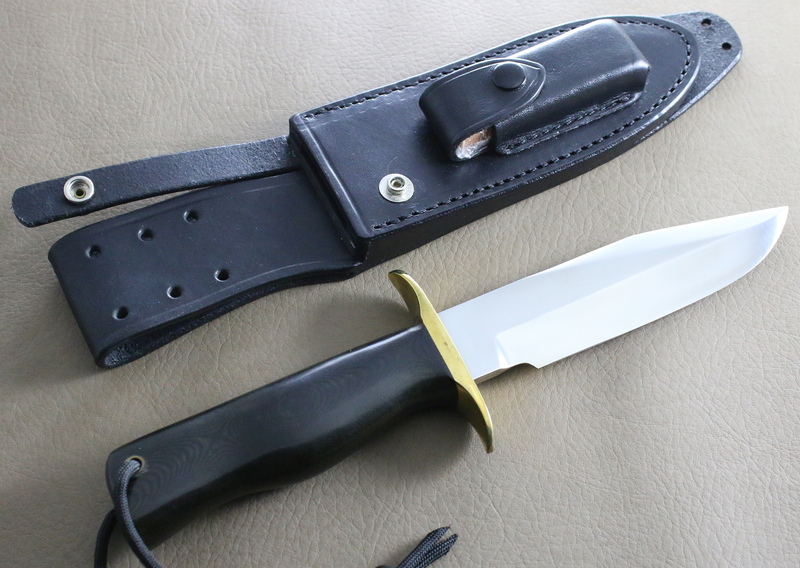 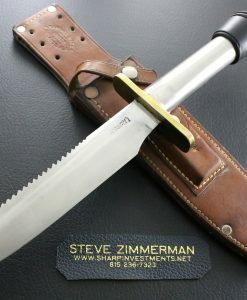 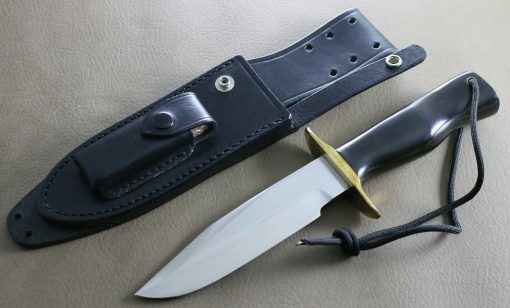 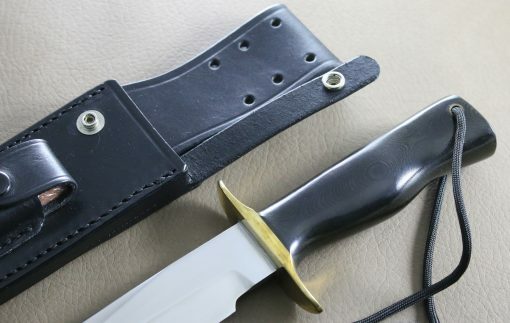 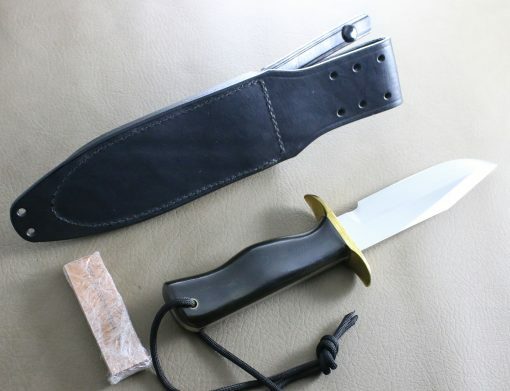 The knife has 5 1/2″ blade, double brass hilt, black micarta Border patrol handle with wrist thong. 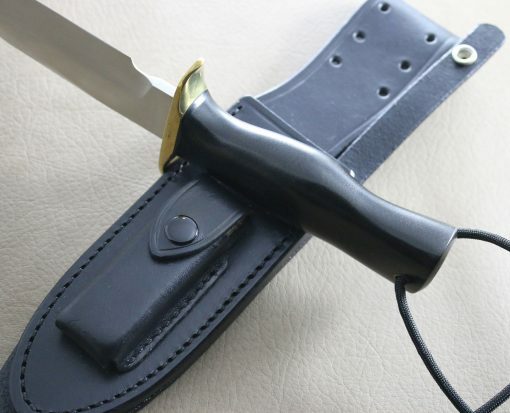 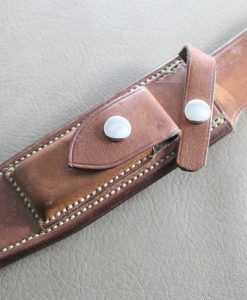 The sheath was made by Sullivan’s and has black snaps and a salmon colored stone. 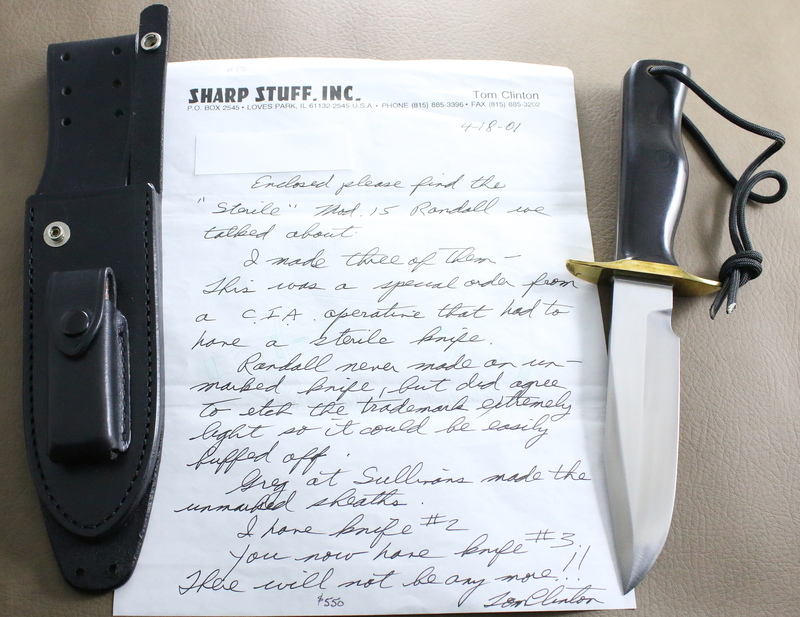 The knife comes with the original letter hand written by Tom on His stationary.